The thick mist descends upon the tall forest. Rays of sunshine trying to make it into the thickness. 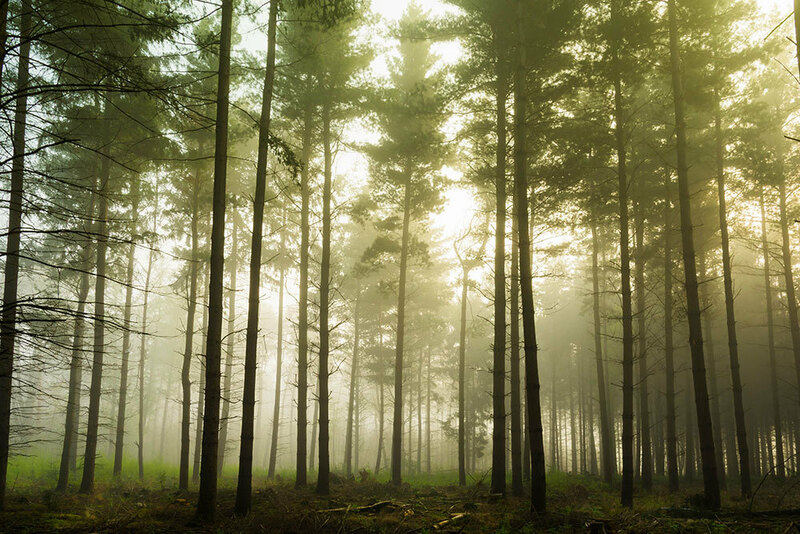 The thick mist descends upon the tall forest. Rays of sunshine trying to make it into the thickness. Desolate, empty, but a beautiful quietness. A place of reflection, freedom and nature.